1. The pomegranates. The ones at Whole Foods will never measure up. 2. 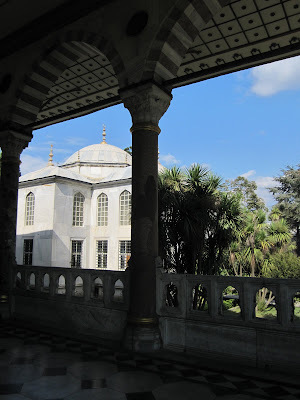 The third courtyard of Topkapi Palace. Forgo the long lines at the royal treasury and head to the library instead. 3. 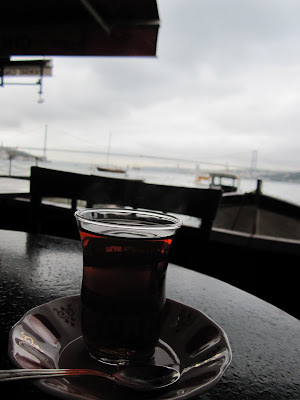 Cay or black tea. I like mine with two sugar cubes and some atmospheric fog. 4. A ferry ride. Bring a few squares of sugary, oozy baklava, your trenchcoat, and two ferry tokens (for the round trip). 5. The whirling dervishes. Maybe they could teach this former ballerina a trick or two.